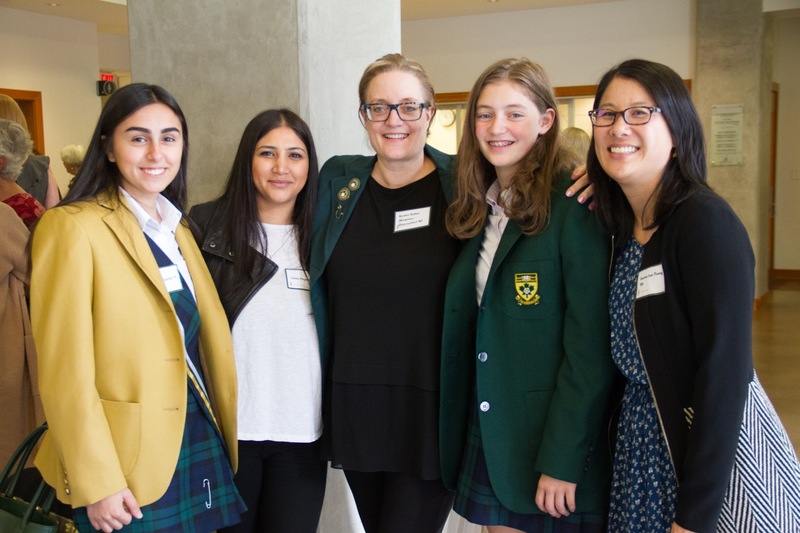 L-R Head Girl, Ava Grade 12; Alumnae Association Director at Large, Ishita (Kalia) Hayer ’98, 2018 Alumnae Special Achiever, Kirsten Sutton (Koopman-Osterreicher) ’83; Kirsten’s daughter, Olivia, Grade 8; and Alumnae Association President, Joanne Lee-Young ’90. 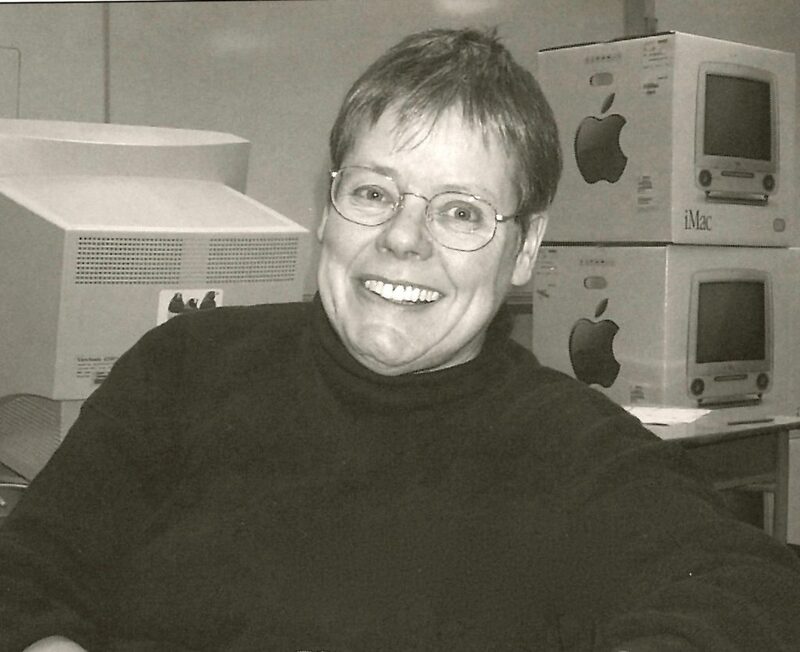 This year’s Alumnae Special Achiever, Kirsten Sutton (Koopman-Osterreicher) ’83, describes herself as “an unconventional tech leader.” From a professionally trained chef, Kirsten has navigated a significant career pivot to become one of Vancouver’s most celebrated tech execs. 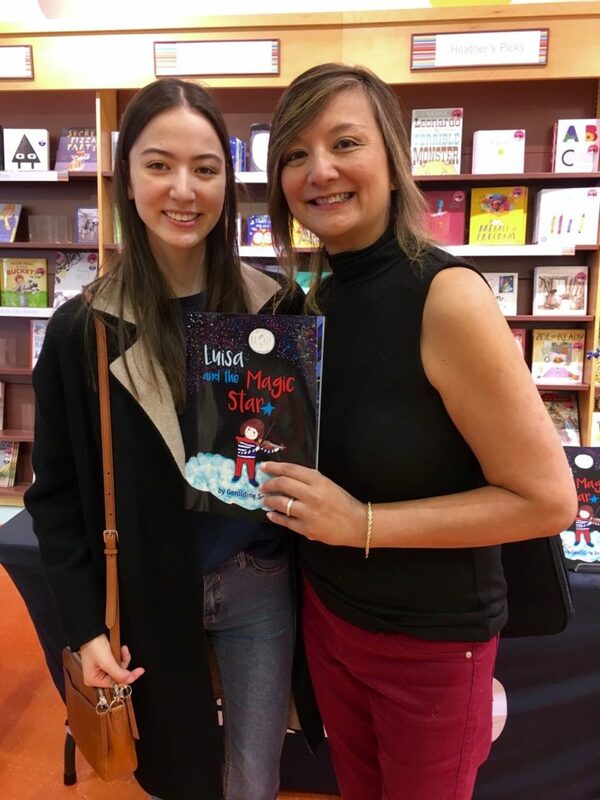 As she commented in a recent interview with Business in Vancouver, “I really love cooking: I love feeding people, which isn’t so different really to what I enjoy now at work: that collaborative environment, working together, creating things that are brand new.” Kirsten is also a mother and her daughter, Olivia in Grade 8, attends York House. SAP is a global software company with 95,000 employees in 160 countries around the world. 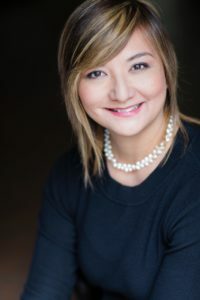 In her current position as Vice President and Managing Director of SAP Labs Canada, Kirsten is one of only two female Managing Directors within the global SAP Labs Network where she inspires innovation within the Canadian development organization and manages 3000 employees in SAP’s four research and development hubs across Canada. 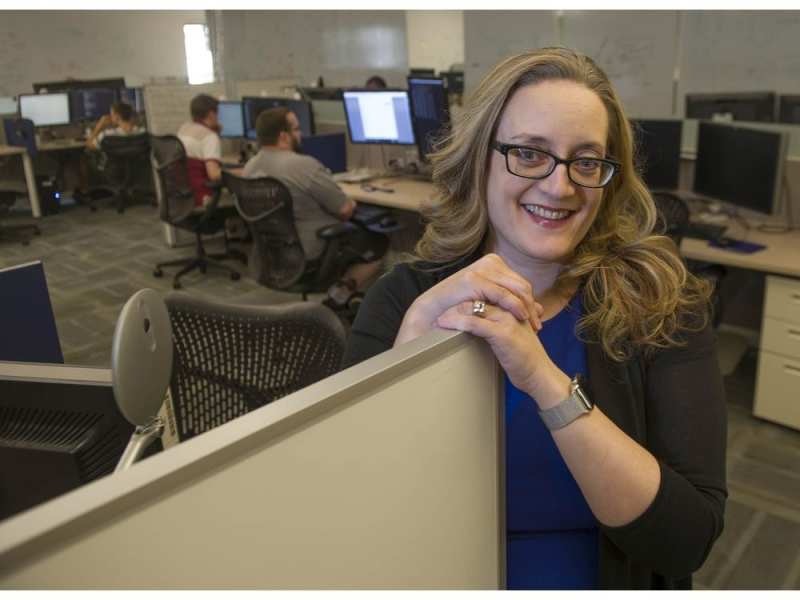 She is also the Global Head of Engineering for SAP Jam, leading a multinational development team working on a cutting-edge cloud collaboration software with over 51 million subscribers. Her role gives her a prominent voice in the technology industry. 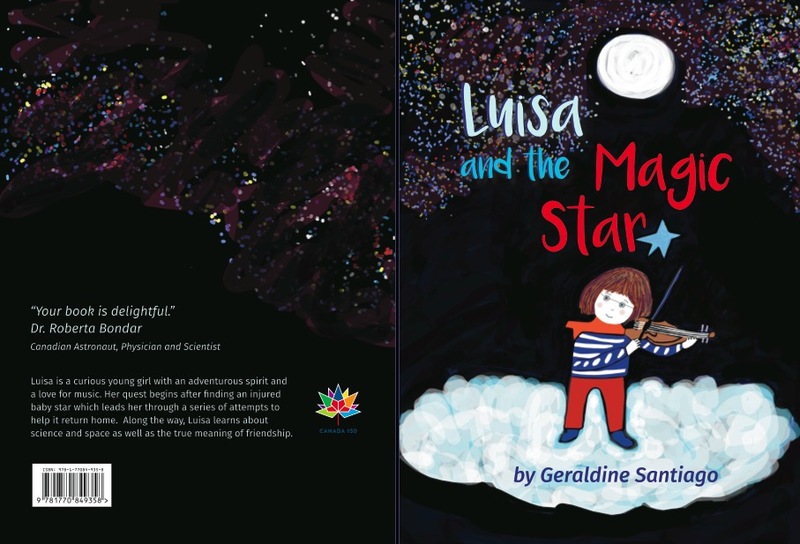 This year, she was recognized as one of Business in Vancouver’s Influential Women in Business and as a YWCA Woman of Distinction, which honours individuals whose outstanding activities and achievements contribute to the well-being and future of our community. 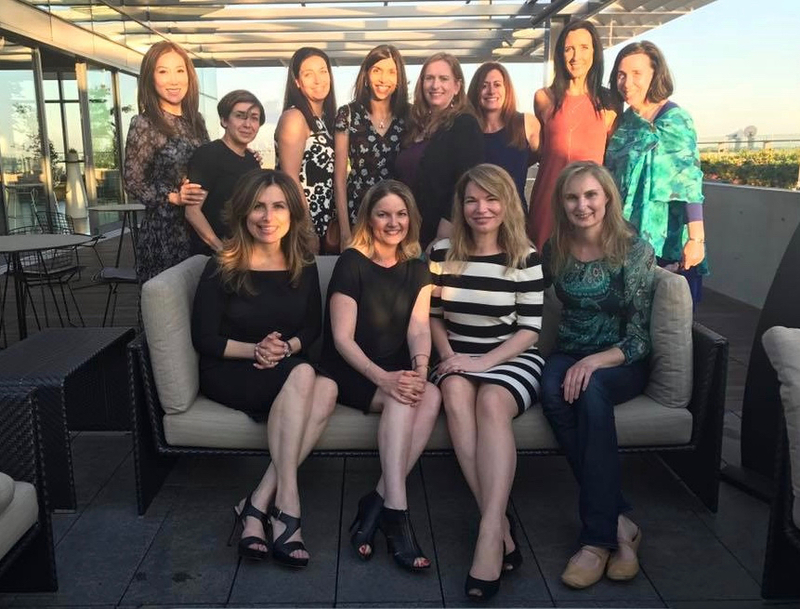 Kirsten actively promotes gender advancement at her company and generously provides both formal and informal mentorship to younger women interested in the technology sector. An advocate for girls in tech, she supports education initiatives like Templeton STEM and GIRLsmart4tech. 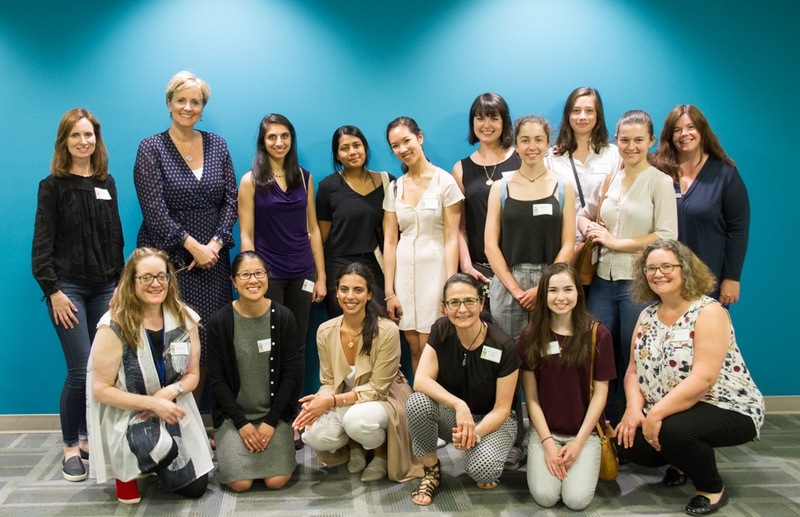 Last June, Kirsten hosted a “Yorkies in Stem” evening at SAP Labs Canada’s headquarters in Yaletown, an invaluable networking opportunity for YHS alumnae. On YHS Alumnae Day, she participated in the “Breaking the Mold” panel discussion, offering practical steps to confidently navigate and push boundaries. As a leader in promoting diversity, Kirsten has led the way for SAP Canada’s adoption of Autism@Work, an SAP initiative to hire and integrate 650 individuals on the autism spectrum into the workplace globally. Under her leadership, SAP Labs in Vancouver was recently awarded the Rick Hansen Foundations’ Certified Gold accessibility accreditation, making it the first business in Canada to be recognized. 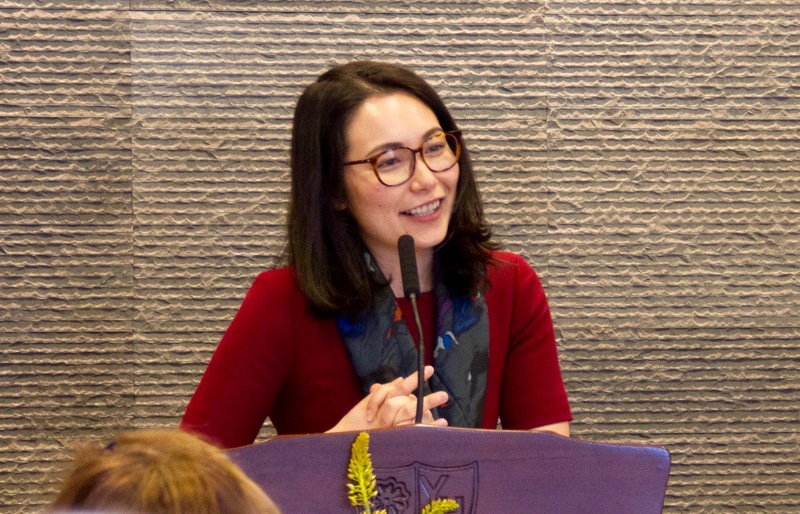 Outside of SAP, Kirsten gives her time as a Director of the Board of the Greater Vancouver Board of Trade and Science World British Columbia, and as chair of the Minerva Foundation, which provides leadership development programs for women and girls, and partners with organizations to advance gender parity in BC. York House, was not only the place where she lived (her family home was formerly located on the school grounds where the gymnasium is now), but a place where she had been able to thrive as her unique self, to express her passion for questioning the status quo and why things had to be a certain way. She always had the insatiable desire to “break the mold,” to be a disruptor, and spin wild ideas. At the time, this was not always so well received as demonstrated from a few report cards, suggesting that she had potential and the ability to be successful, if she avoided the temptation of being easily distracted and spending time objecting to what was happening in class. “1. Be Unique: We are all Tigers (YHS Sports team) here and no two tigers have the same pattern of stripes. Every tiger in the world is unique. Being at an all-girls school wearing a uniform everyday, with everyone looking the same, studying the same subjects, competing in the same sports, engaging in the same shared experiences, you have no choice but to figure out what makes you stand out. 2. Be Yourself: Often girls feel that they have to present themselves in a certain way, like certain things or downplay their talents. To be your best self you have to be your true self. York House was a safe place for me to be me and is a safe place for you to be you. In closing, Kirsten expressed her gratitude for her time at York House and “the unique ferocious tiger that was brought out in me.” She encouraged teachers past and present, “to entertain the innovative, disruptive ideas of your students, as you never know where they may end up and the influence they may have thanks to your influence today.” Based on the spontaneous clapping and laughter of the audience of staff, alumnae and our Golden Alumnae, and students, Kirsten’s inspiring words and great sense of humour, clearly resonated with all who attended this Founders’ Day. Congratulations Kirsten on yet another achievement! Student executives ready to welcome the Golden Alumnae. 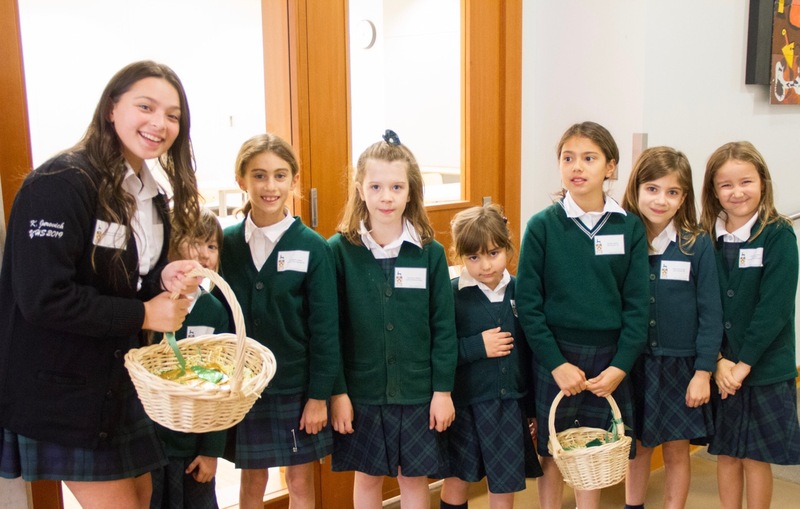 On Founders’ Day, alumnae from 1942 – 1968 came back to school and were met by student executives before being led on a fun school-wide tour by Laura Edwards ’74, Executive Director Advancement and Gillian Smith ’81, past YHS Parents’ Association President. 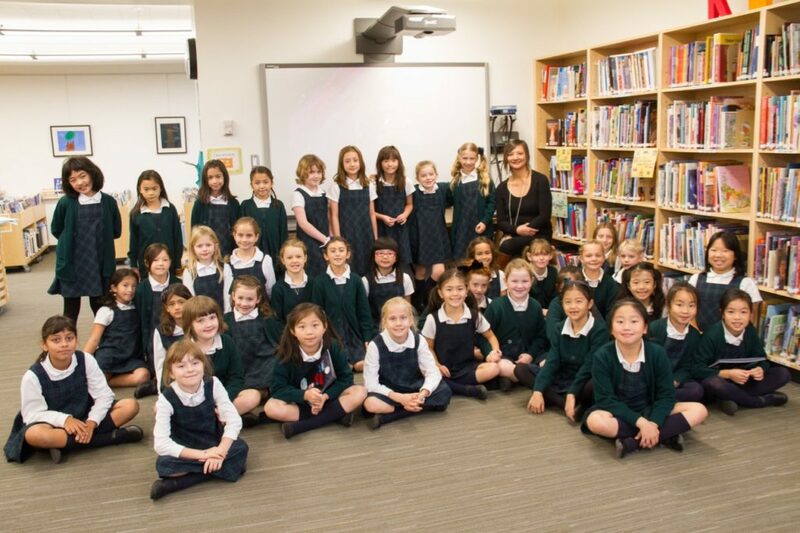 Alumnae gathered by founding Head of School, Mrs. Lena Clarke’s portrait, for a tour of the school. 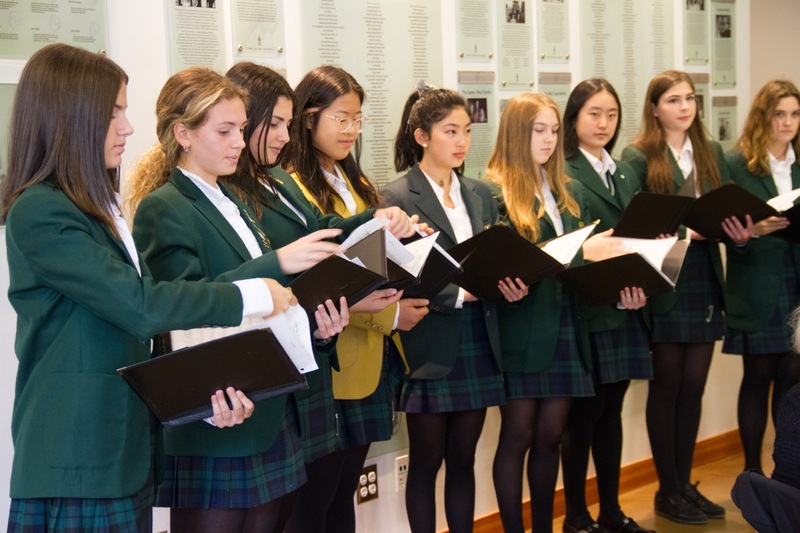 The Golden Alumnae luncheon began with the melodious tones of Ragazza, the YHS Senior choral group, led by music teacher Benila Ninan, in the singing of the old YHS assembly hymn Unto the Hills and a glorious rendition of Blue Skies. 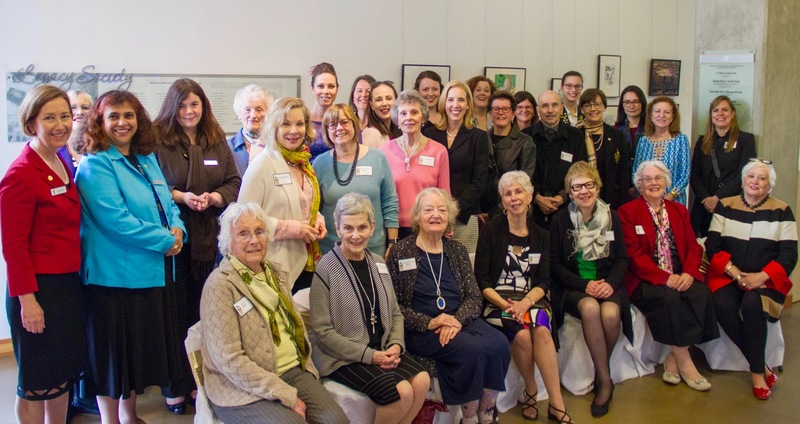 Head of School, Julie Rousseau welcomed the Golden Alumnae, YHS Legacy Society members, and guests. Ragazza singing the old YHS assembly hymn, Unto the Hills and Blue Skies. 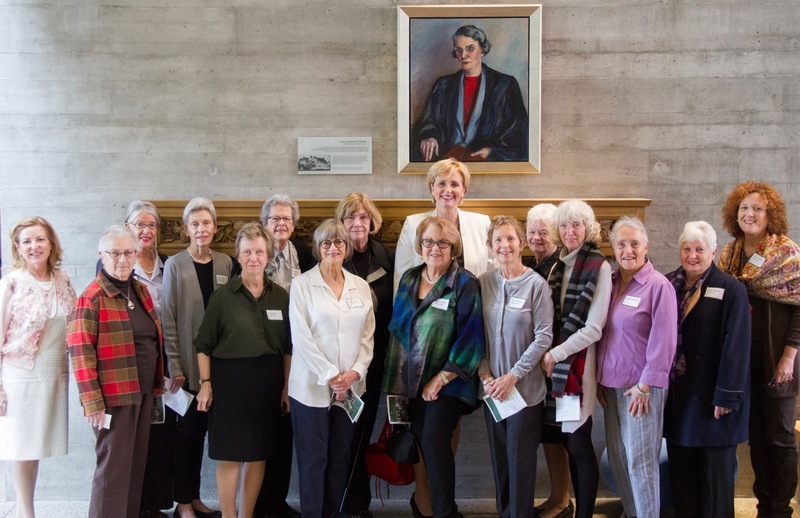 Nancy Gibson ’67, past YHS Foundation Trustee; Gail Ruddy, retired Head of School; Barbara (Sanderson) Armstrong ’55, YHS Legacy Society Founder; Catharine (Walwyn) Turner ’84, past YHS Foundation Chair; Margaret (Shepard) Walwyn ’55, Alumnae Class Rep; Pat Sexsmith, past Parent’s Association President; Bill Sexsmith, past YHS Board of Governors Chair; Julie Rousseau, Head of School; Derek Francis, husband of the late and beloved teacher Joanne Francis; and Gillian (White) Smith ’81, past Parents’ Association President. Members of the Class of 1958 celebrating their 60th reunion with YHS staff and friends. 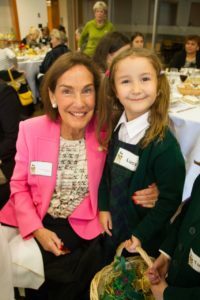 After the luncheon, Joanne Lee-Young ’90, Alumnae Association President, announced the 2018 Alumnae Lifetime Achiever, Irene (Triandis) Harvalias ’52, who has truly lived the school motto, Not for Ourselves Alone, throughout her life and was nominated by her class of 1952. 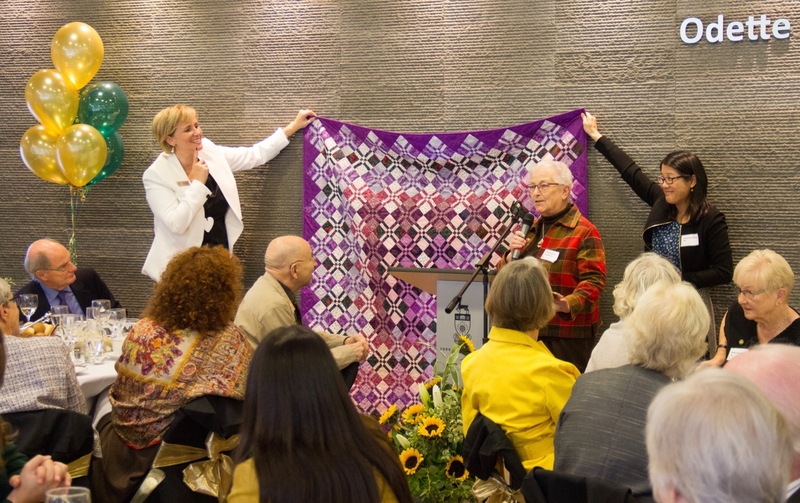 For their nomination, they prepared an amazing handwritten book, including many photos of Irene tirelessly at work in the community and of her exquisite hand-made quilts, as well as those of her many students. Much of the finished work of the students, completed on donated sewing machines, is given to hospitals, homeless shelters and other deserving places. Irene (Triandis) Harvalias ’52, the 2018 recipient of the Alumnae Lifetime Achiever award. The nomination book is currently on display in the Museum & Archives display case in the Gail Ruddy foyer as part of a 1950s – 60s Alumnae Special Achiever display. Samples of her quilts are hanging in the Alumnae Art Gallery on the 3rd floor of the Senior School. 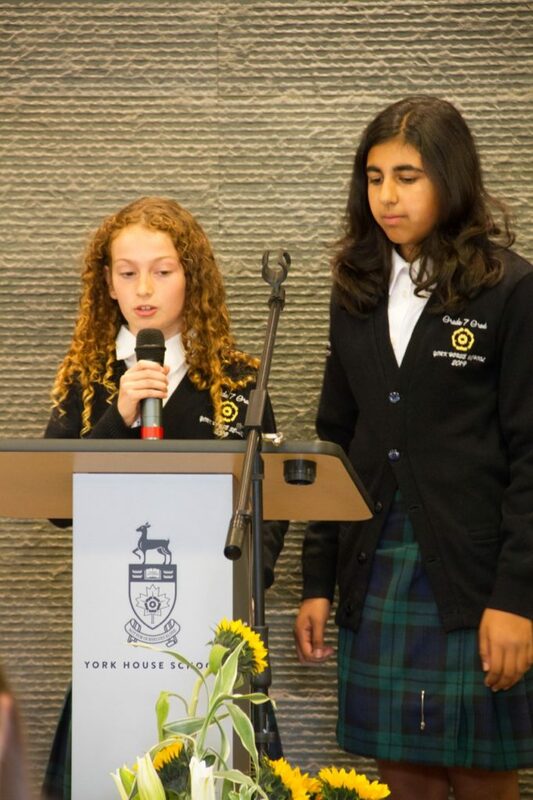 Sophia, Junior Vice Head Girl and Jessica, Junior Head Girl speaking on Breaking the Mold. 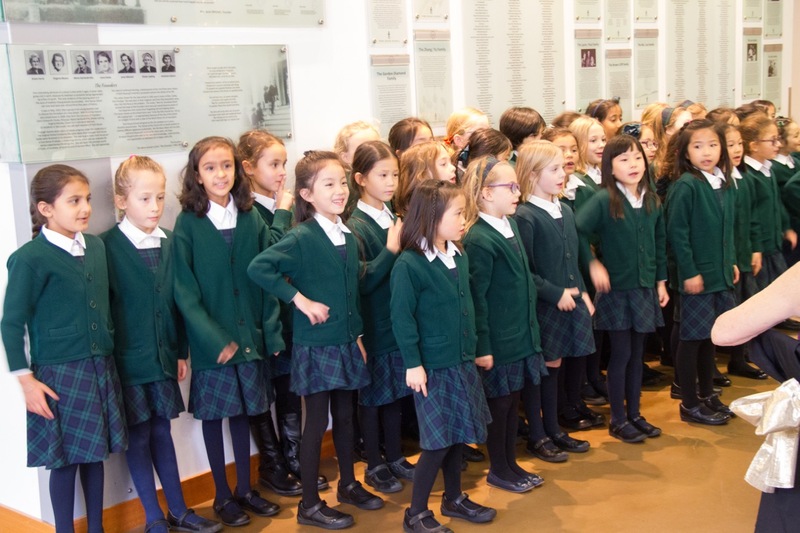 Their passionate address was followed by a lively performance by the Grade 2 girls, who sang I’m a York House Girl to a rapt audience. 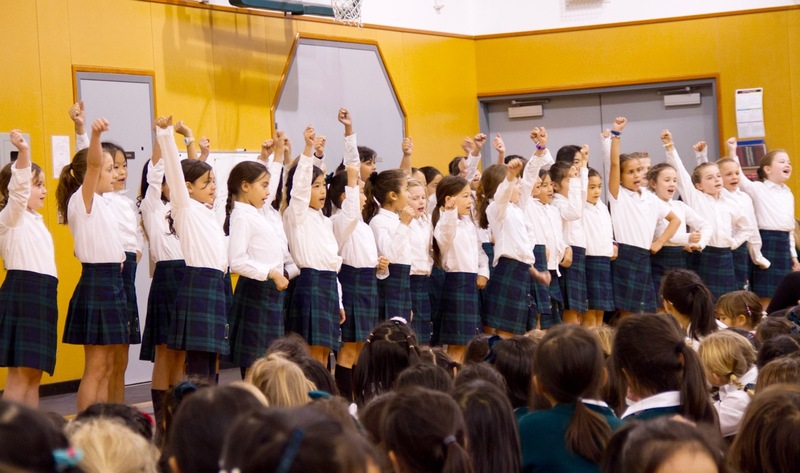 Grade 2 students performing I’m a York House Girl. 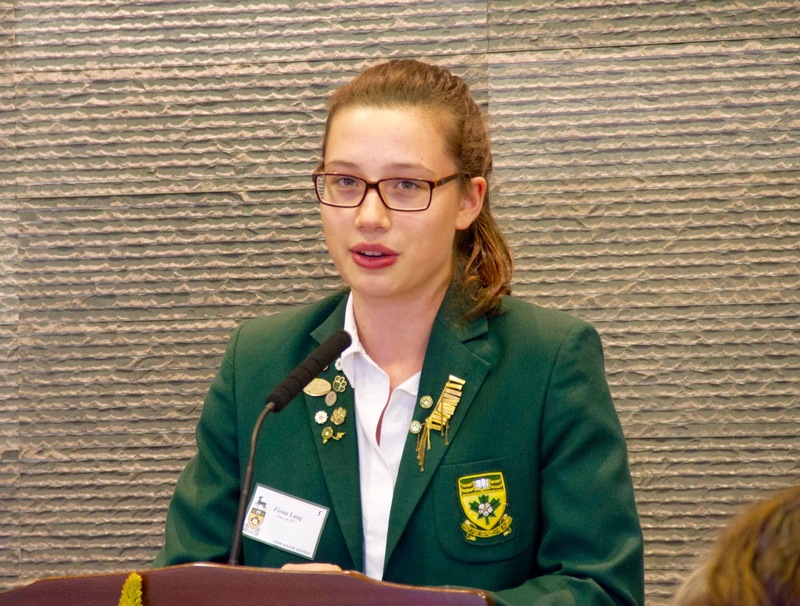 Following the much-anticipated delivery of York House chocolates by the youngest Junior students, YHS Head Girl Ava, Grade 12, welcomed the Golden Alumnae on behalf of the student executive and shared a few experiences from her time at the school. Joanne Lee-Young, Alumnae Association President, encouraged all to attend the Founders’ Day assembly after the luncheon. Junior students delivering Yorkie chocolates. The highlight of the assembly was the presentation of the 2018 Alumnae Special Achiever award to Kirsten Sutton (Koopman-Osterreicher) ’83. As VP & Managing Director, SAP LABS Canada, Kirsten is one of only two female Managing Directors within the global SAP Labs Network. She is also the Global Head of Engineering for SAP Jam, leading a multinational development team on a product with over 51 million subscribers. 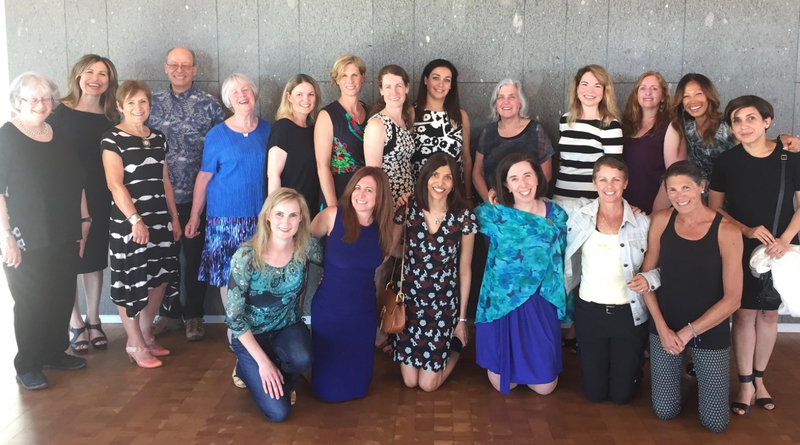 Ava, Head Girl, Grade 12; Ishita (Kalia) Hayer ’98; Kirsten Sutton (Koopman-Osterreicher) ’83, Alumnae Special Achiever 2018; Kirsten’s daughter, Olivia, Grade 8; and Joanne Lee-Young ’90, President, Alumnae Association. As an unconventional tech leader and executive, Kirsten is also an advocate for girls in tech, and supports education initiatives like Templeton STEM and GIRLsmart4tech and has led the way for SAP Canada’s adoption of Autism@Work, an initiative to hire 650 individuals on the autism spectrum globally. 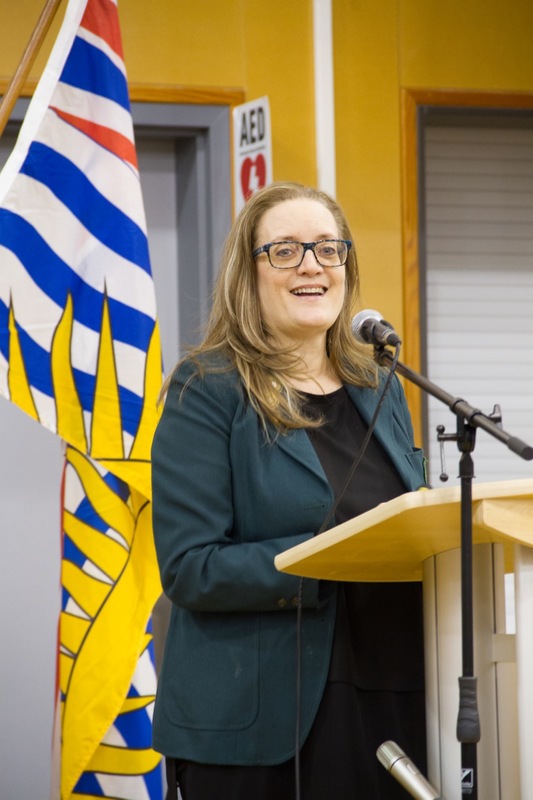 Kirsten was recognized in 2018 as one of Business in Vancouver’s Influential Women in Business and a YWCA Woman of Distinction. All were inspired by her address to the whole school. 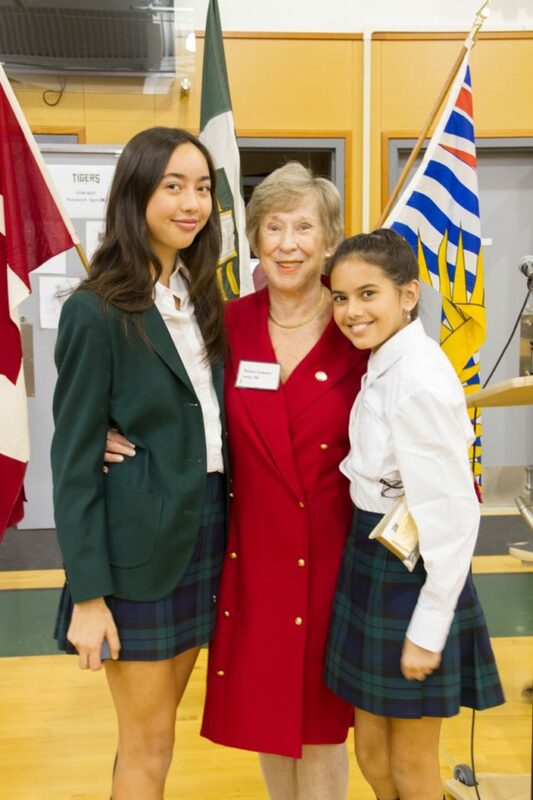 Barbara (Lawson) Lecky ’58 and granddaughters, Lauren, Grade 12 and Julia, Grade 6. 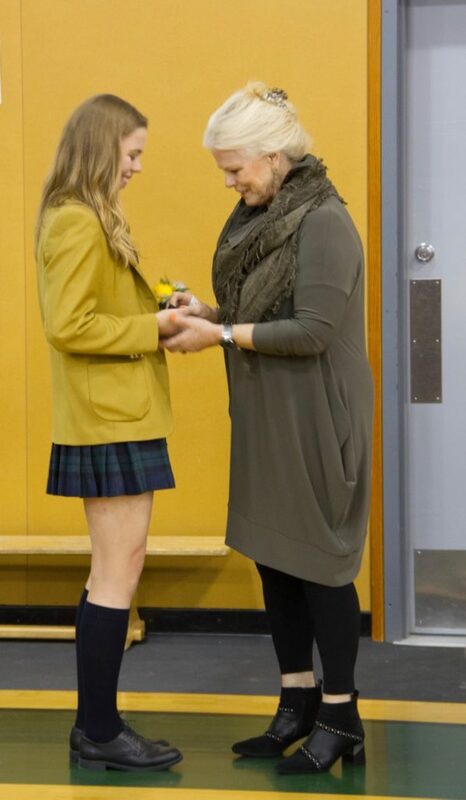 Other highlights included the presentation of Alumnae pins, which were given to Grade 12 students. 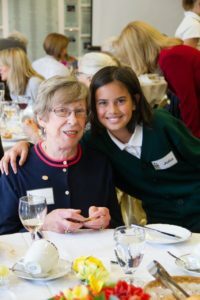 This was an especially memorable moment for alumnae in attendance, who had the chance to give the pin to their sisters, daughters, nieces, or granddaughters. Winkie (Bucholtz) Steele ’61 with her granddaughter, Olivia, Grade 12. New on the Founders’ Assembly agenda this year, was the presentation of two new YHS Foundation Awards in memory of two outstanding alumnae, Caroline Anne (Sexsmith) Trausch ’84 and Katherine Manders ’96. Pepi, Grade 12, our first recipient of the Caroline Anne Sexsmith Trausch award. 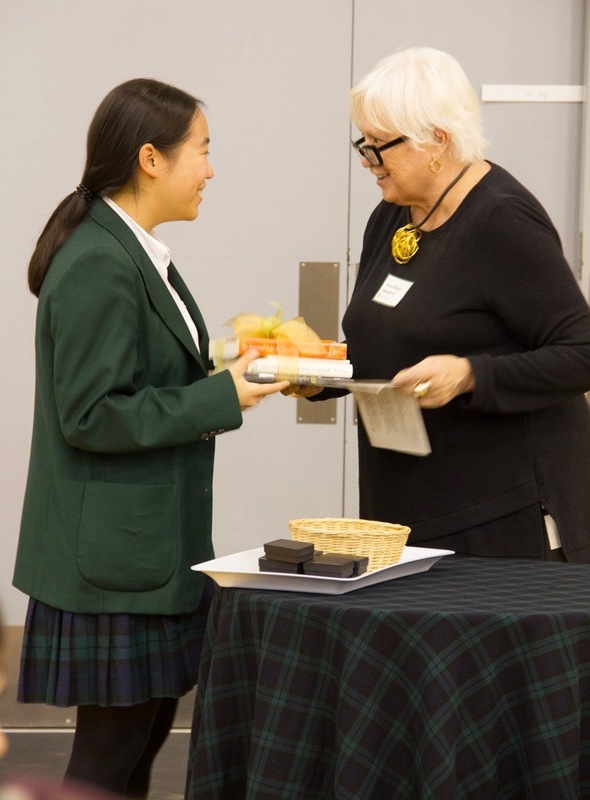 The Caroline Anne Sexsmith Trausch Award was presented to Pepi, Grade 12 and the Katherine Manders award, to Grace, Grade 12. Grace, Grade 12, our first recipient of the Katherine Manders award. 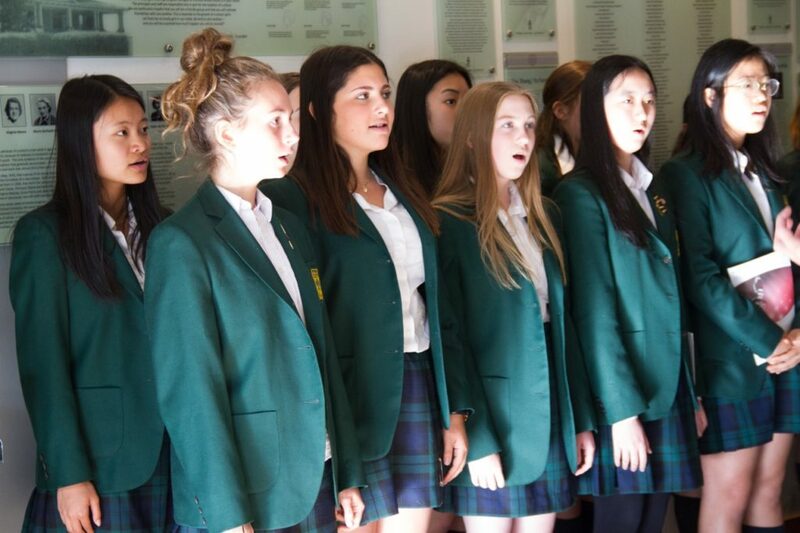 The Grade 4 student’s energetic performance of the YHS School March and the singing of the school song all together by alumnae, students, staff and guests, stirred up many memories, which will remain with those who attended this special day of celebration. Grade 4 students singing the YHS March. 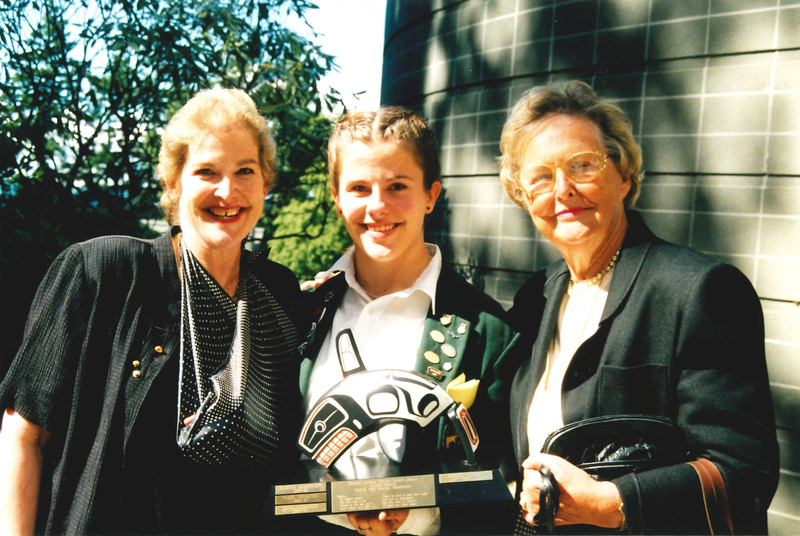 Sherry’s connection to York House began with her mother, Audrey (Wilson) Robson’s alumnae tales from the early years of the school. 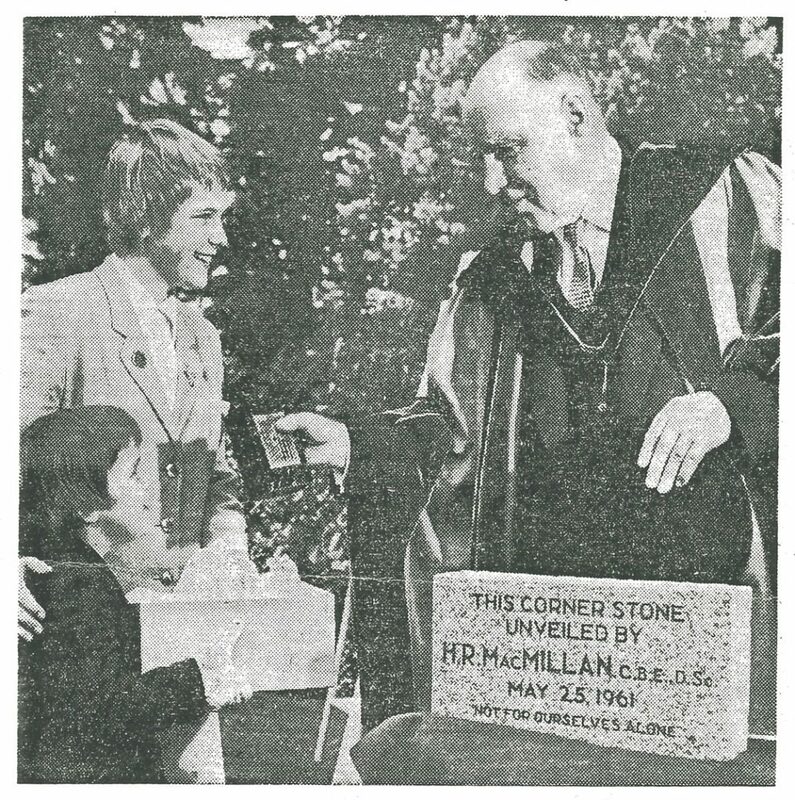 In 1961, as the youngest York House student, she had an auspicious beginning with the chance to unveil the first building block of the Junior School with head girl Victoria (Frost) Vogrin ‘61 and Mr. H. R. MacMillan. 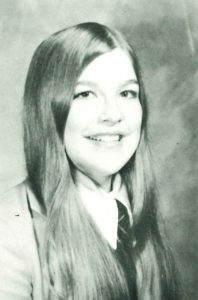 Twelve years later, after playing a vital role on the student council since her arrival in the Senior School, Sherry was elected Head Girl 1972-73 and gained the respect and affection of the YHS community. After graduation, Sherry’s leadership role continued as Alumnae Association President in 1974, a role she would take on two more times as her passion and commitment for York House evolved. When her daughter Devon started kindergarten in 1989, she became a devoted class parent, spending countless hours volunteering at the school. Sherry contributed in every imaginable way including Alumnae Representative to the Board, Class Parent, Alumnae Class Rep, YHS Foundation trustee, phonathon volunteer, band trip chaperone and more. 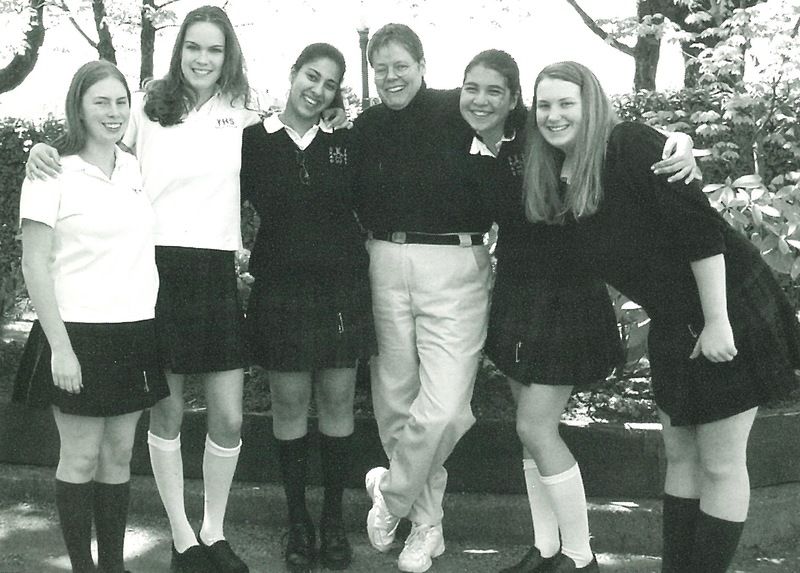 In 1996, Sherry’s exceptional dedication and Yorkie spirit were recognized when she received the Alumnae Special Achiever award for Community Service. As a special tribute, the alumnae introduced a new award named “The Sherry Robson Taylor Spirit Award,” which is presented each year to a student who emulates Sherry’s enthusiasm, energy, and love of York House. 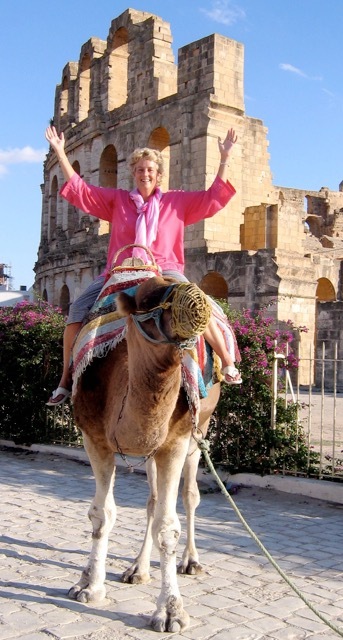 Sherry’s Yorkie spirit and enthusiasm led her to be the initiator of many firsts. In 1993 she inspired and co-chaired the first ever York Rose Ball and in 1998, it was a highlight of the school’s “Celebrate Sixty” festivities. 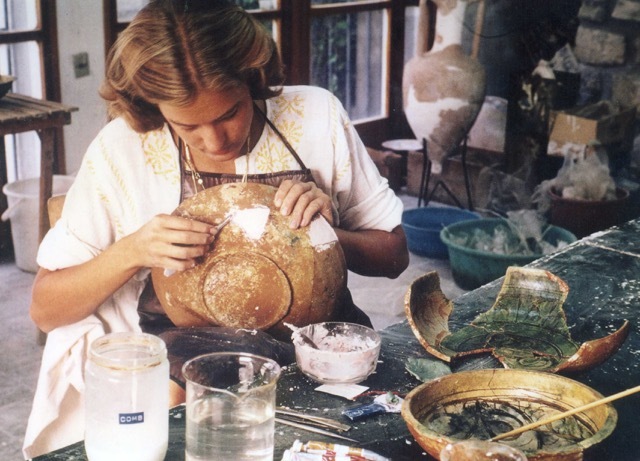 In 1995 she chaired the first New Parents’ dinner and co-convened the Fall Market (1997-9). 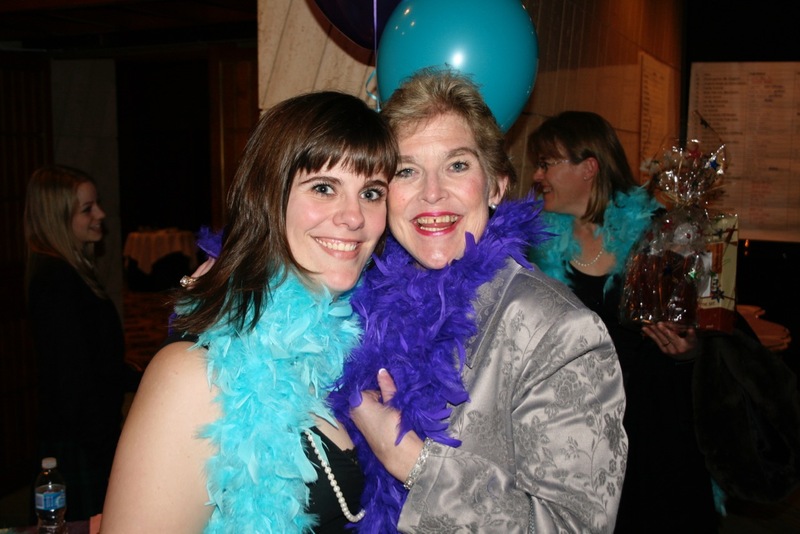 After co-chairing the York Rose Ball again in 2002, she became an Honorary member of the Parents’ Association and agreed to chair the ball in 2007 for the school’s 75th birthday. 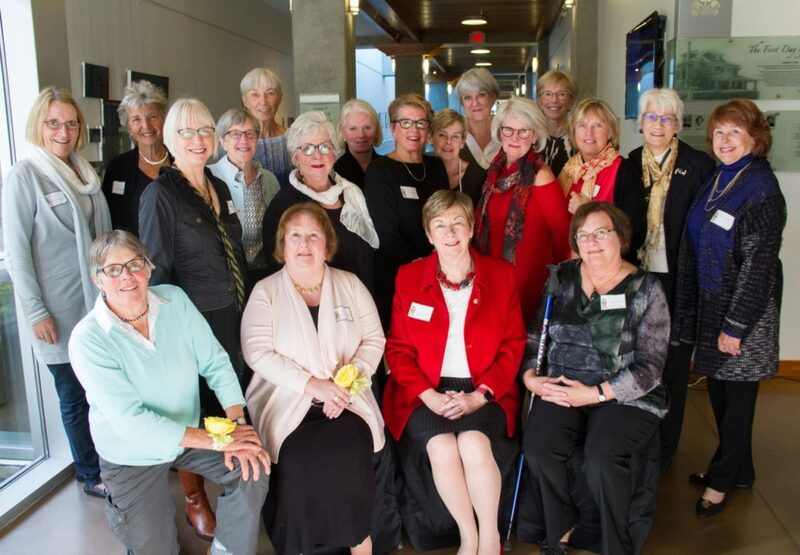 In 2002, Sherry started a long standing YHS tradition, by hosting a luncheon each year for the grads at the University Women’s Club of Vancouver at Hycroft. 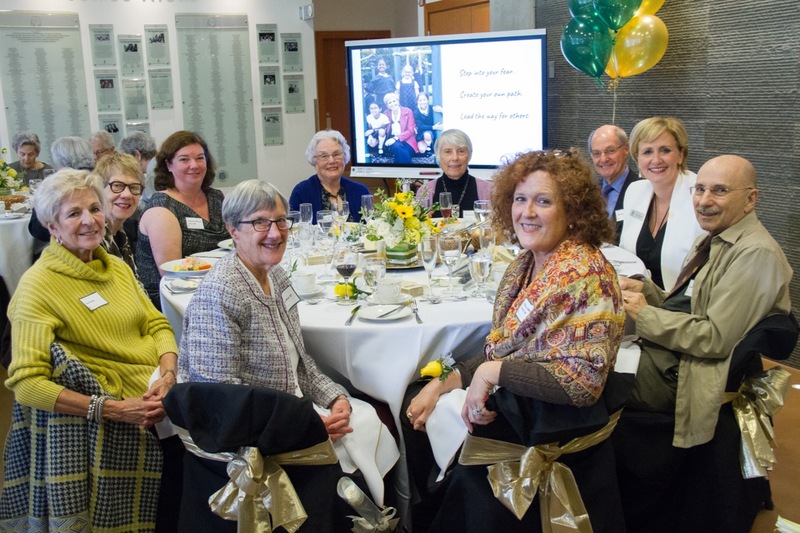 Her great-grandmother Dr. Evelyn Farris had founded the club in 1907 along with eight other university women and what a perfect location for the grads to be welcomed into the YHS Alumnae Association. Always an outstanding example, Sherry constantly modelled the school motto, “Not for Ourselves Alone”, both in the greater community and at York House. 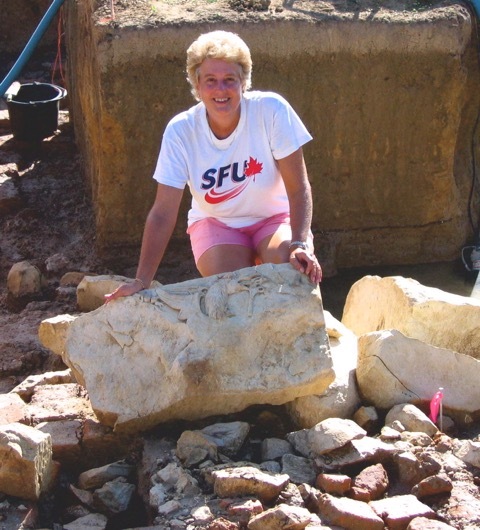 During her tenure as President, the Alumnae Association Scholarship, close to Sherry’s heart, was initiated and grew to become a full scholarship in 2006. Sherry also managed the Margaret Barbeau Alumnae Uniform Shop for many years to raise additional funds for the YHS Alumnae Scholarship. 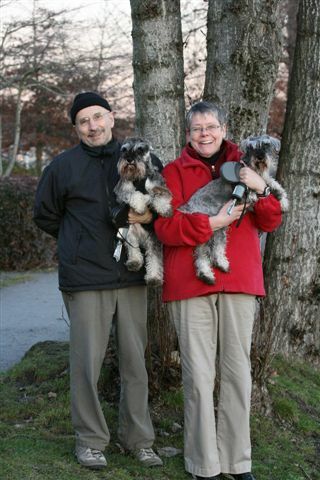 Sherry was a founding member of the YHS Legacy Society to ensure the future for Yorkies and generations to come. 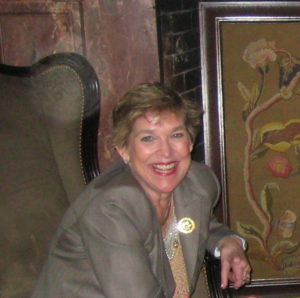 In 2012, Sherry was awarded Honorary Executive Member of the Alumnae Association for her years of service. After living her life to the absolute fullest, Sherry, a most beloved member of the York House community passed away on April 10, 2018. 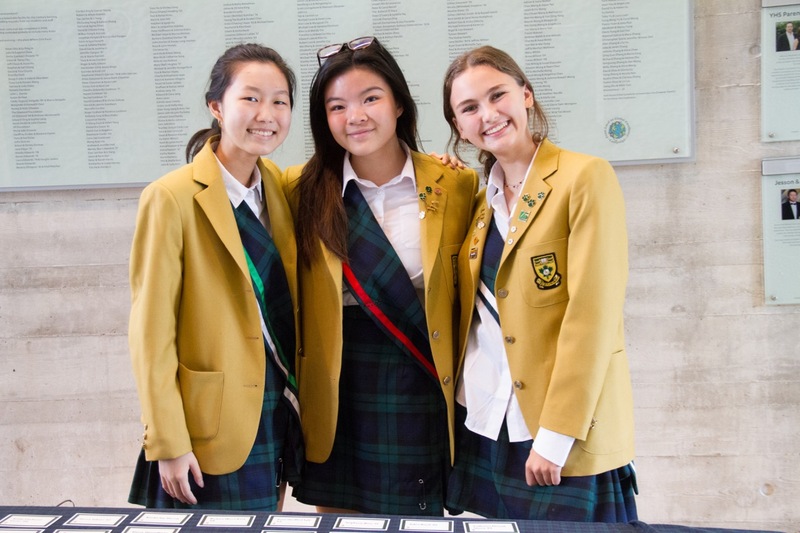 On Saturday May 5, family, friends, alumnae, YHS parents and staff past and present gathered at York House School to celebrate her amazing life. She will be remembered for her tremendous strength and courage, her welcoming smile, trademark sense humour and fun, golden hearted generosity, and unstoppable spirit. Sherry was never dampened by the challenges that came her way and never allowed her long struggle with Lupus to limit what she could accomplish. 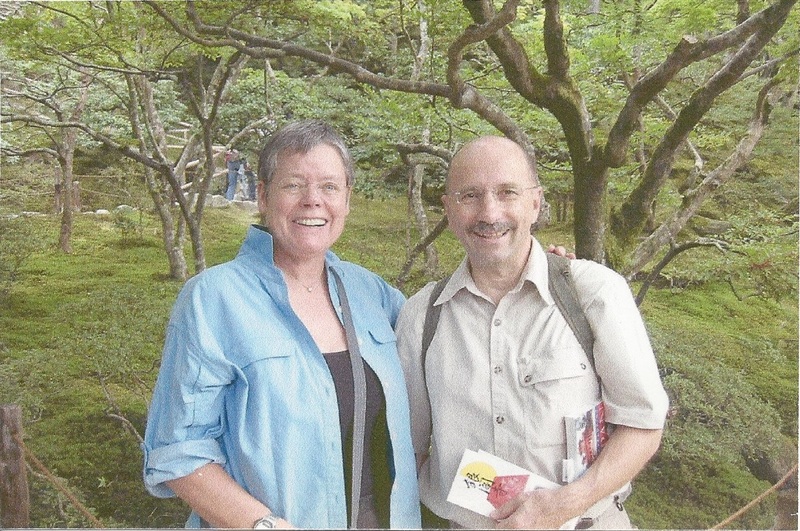 Click here to read Sherry (Robson) Taylor’s obituary. The 40th anniversary was the perfect time for the unveiling of the updated Not for Ourselves Alone Legacy Society plaque by Barbara (Sanderson) Armstrong ’55, past Foundation trustee and Lisa (Greczmiel) Roberts ’82, Alumnae Association president to reveal eighty-five members including YHS Board members, Foundation trustees, Alumnae Association executives, alumnae, YHS staff, current parents and friends. The recognition plaque hangs above the distinctive YHS Museum & Archives display case, a gift from a three generational York House family, Margaret (Shepard) Walwyn ’55, her daughter Catharine (Walwyn) Turner and granddaughters, Megan Walwyn ’15 and Claire Turner ’17. 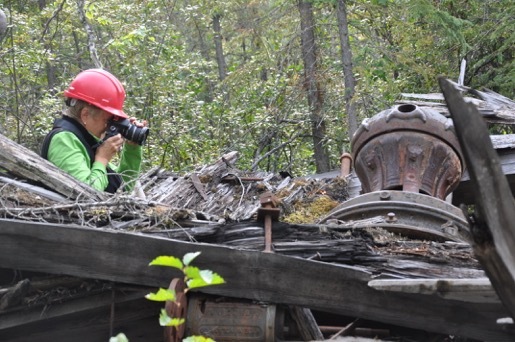 The case enables treasured archival artifacts to be brought out and shared with the whole community. 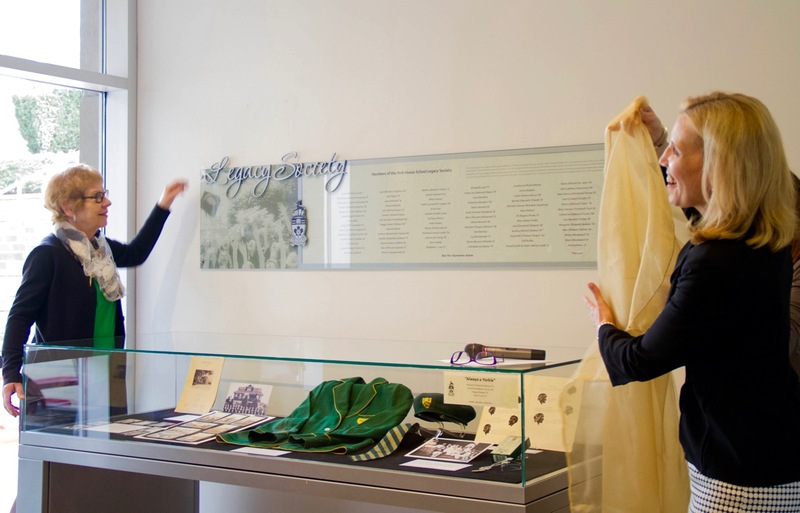 The current display, arranged by archivist and curator Susannah Smith, features York House in the 1930s including the blazer of Corinth (Eckman) Carson ’35 from the first graduating class. Be sure to take a look when walking through the Gail Ruddy foyer! 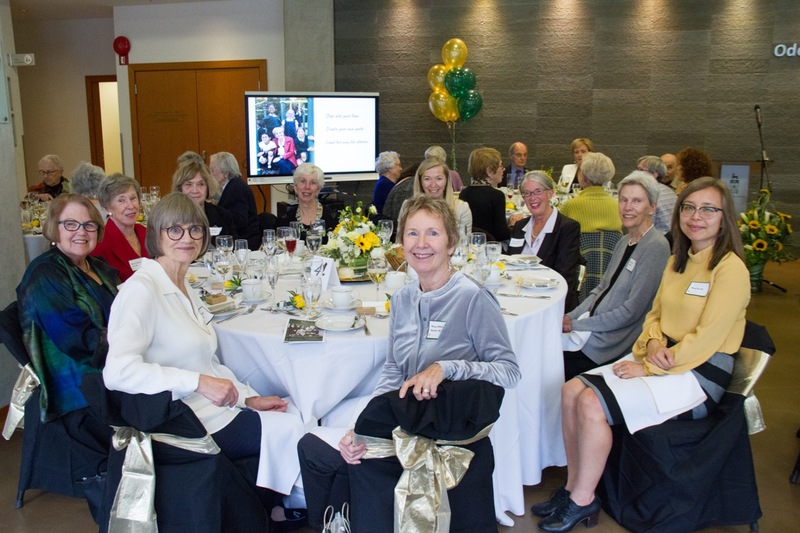 The society was founded by Barbara (Sanderson) Armstrong ’55 in 1999 to recognize donors who have made a bequest in their will or other planned gift to the YHS Foundation in support of student scholarships and the school’s future. 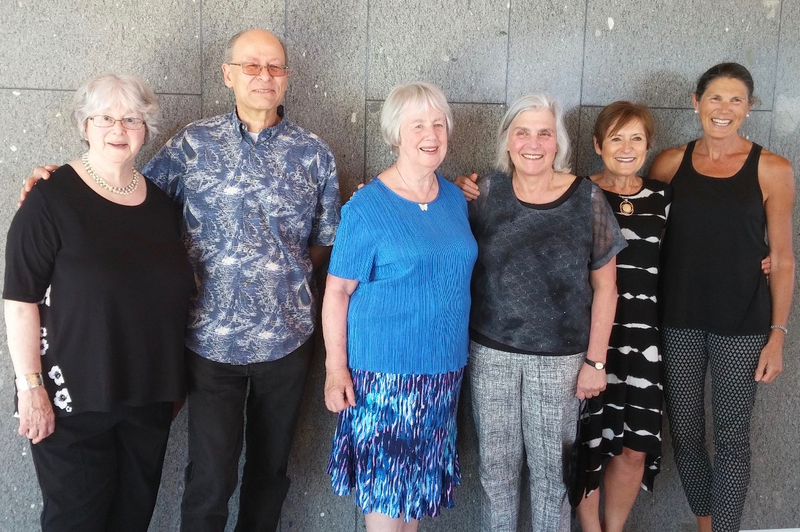 The YHS Endowment Fund was established four decades ago and thanks to the dedication of Foundation trustees, and the generosity of our Legacy Society members and donors, the fund continues to grow. This year, fourteen students are recipients of either full or partial scholarships. 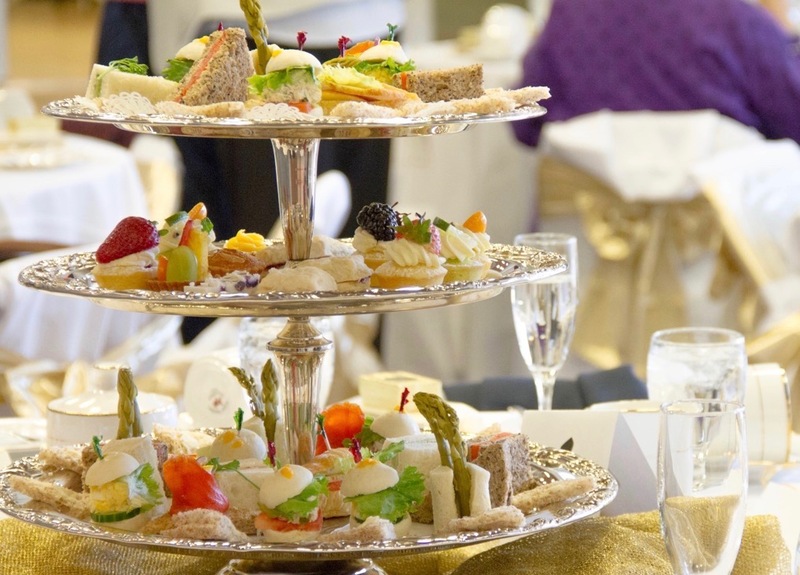 After the unveiling, champagne glasses clinked, our very own blend of Murchie’s YHS tea served and delicate sandwiches, boarder’s fare (brown bread with butter), scones and sweets were enjoyed by all. 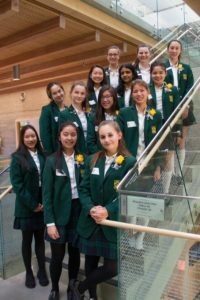 The best was yet to come with speakers, Caitlin Ohama-Darcus ’07, a past Foundation scholarship recipient now with Nathanson, Schachter & Thompson LLP and grade 12 student Fiona Lang ’17, the Ursula Bell scholarship recipient, who is planning to study engineering. Fiona spoke first and expressed what being a Yorkie and scholarship student has meant to her through her experiences in the math honours, the music and computer science programs. Inspired by these two amazing young women, legacy members stayed on for the Celebrate Scholars program put on by current student scholars with the chance to meet them at the reception afterwards. 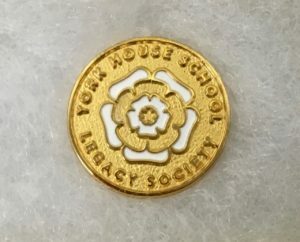 Each legacy member received the new gold YHS Legacy Society pin with the York rose emblem.